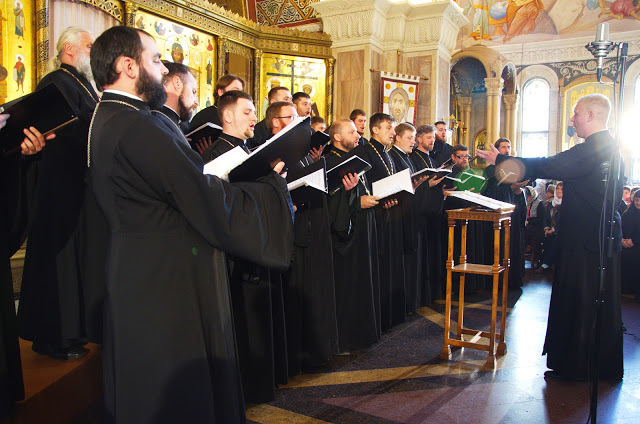 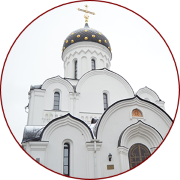 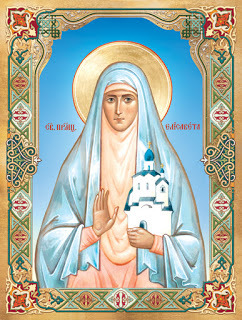 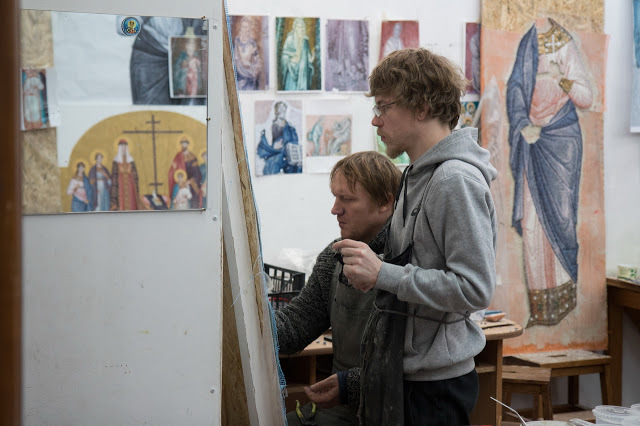 The Church on Blood is built on the place of Ipatiev house, where the members of the family of Tsar Nicholas II spent their last few months of their life and faced their martyrdom. 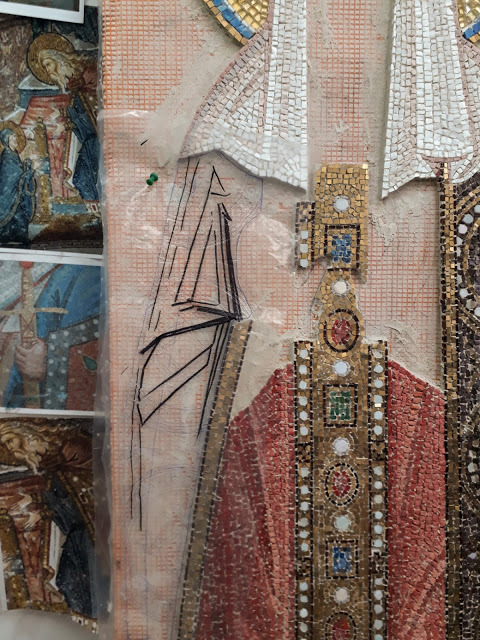 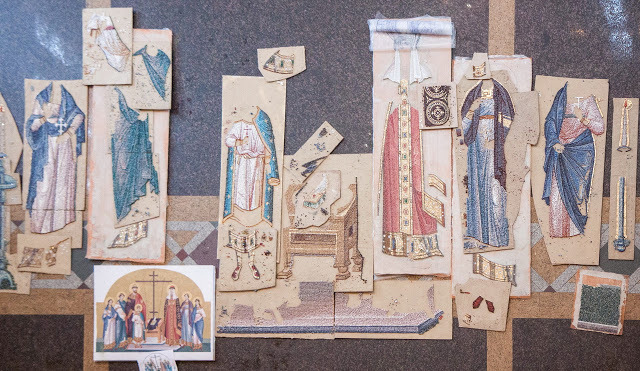 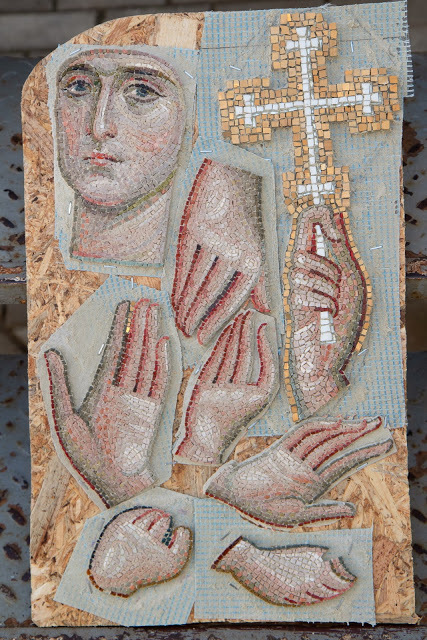 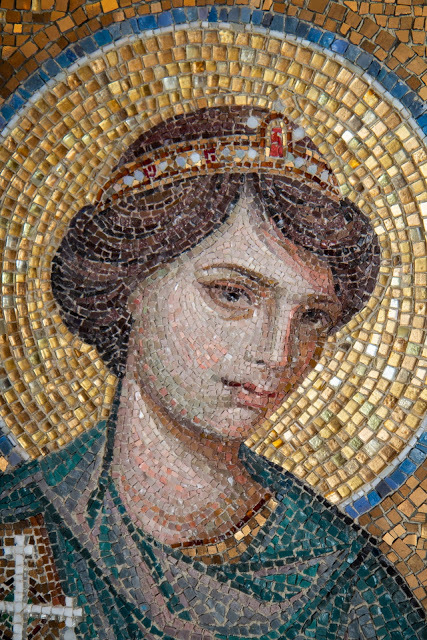 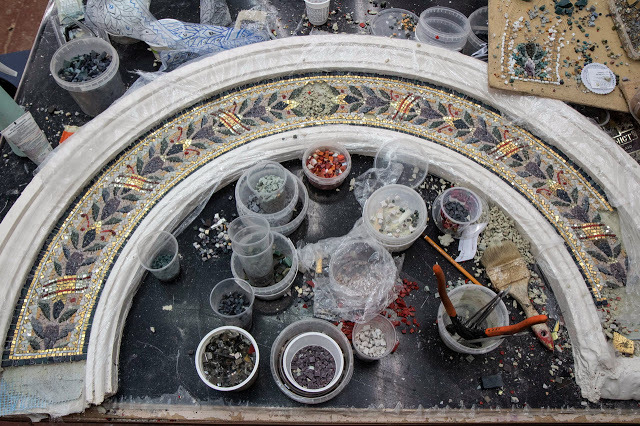 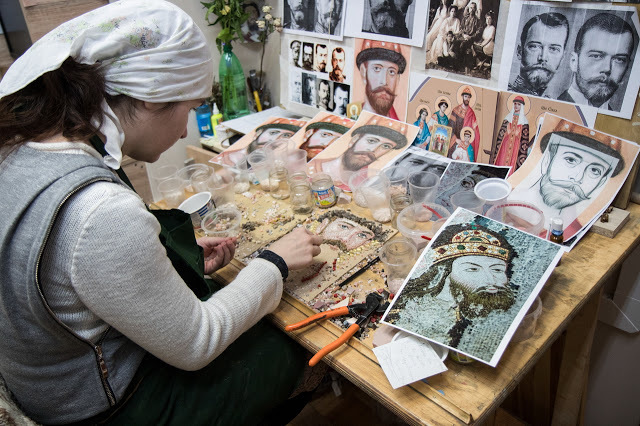 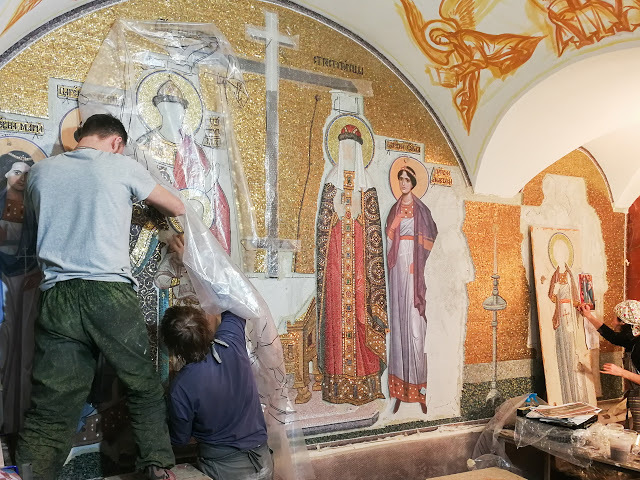 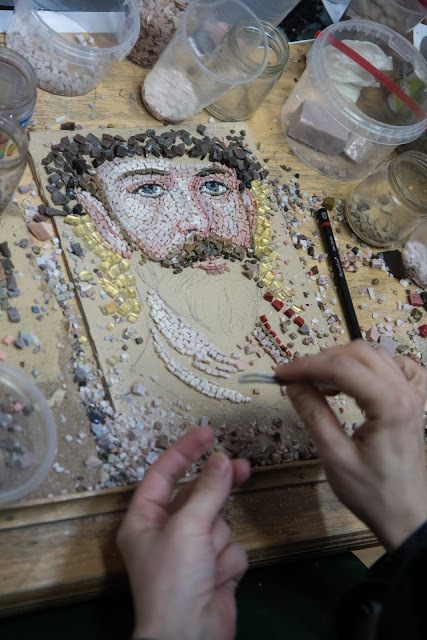 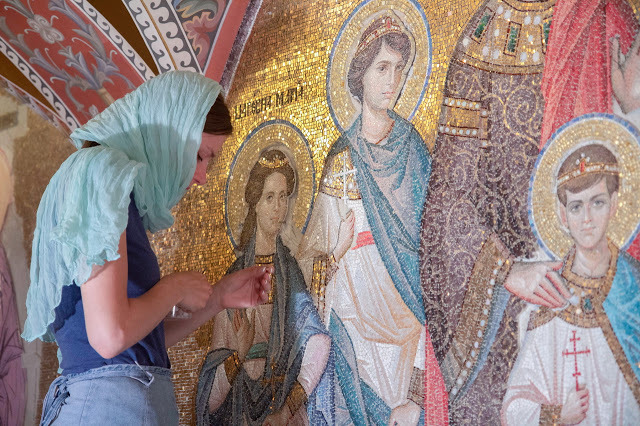 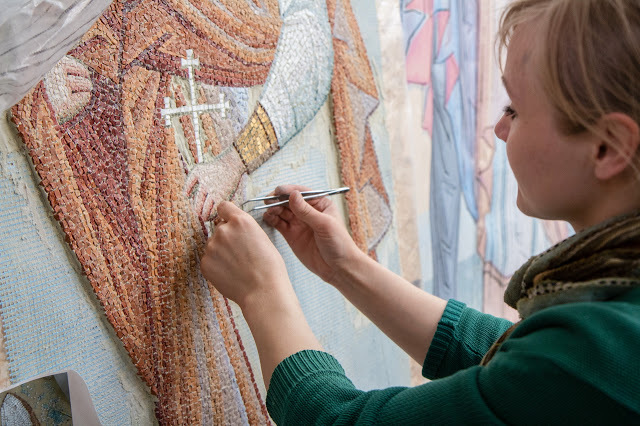 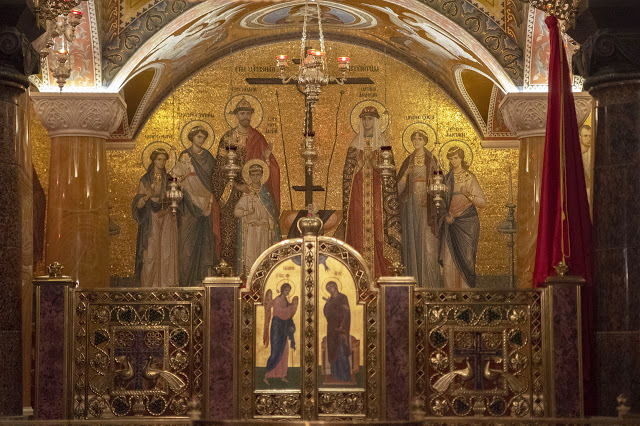 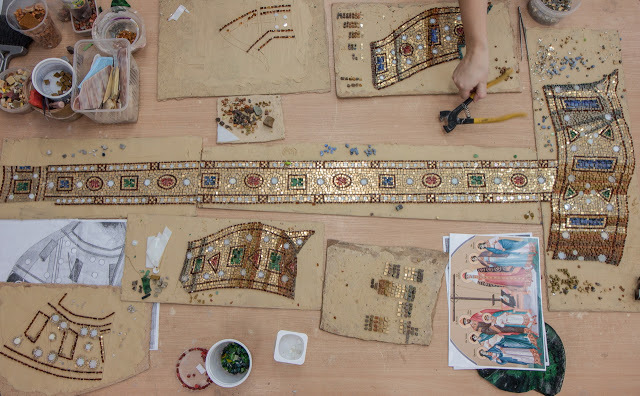 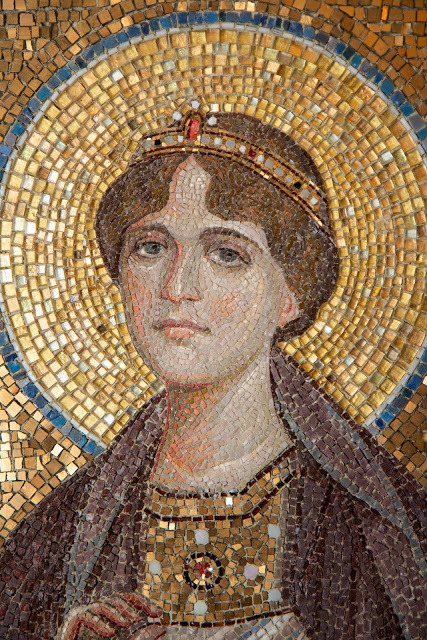 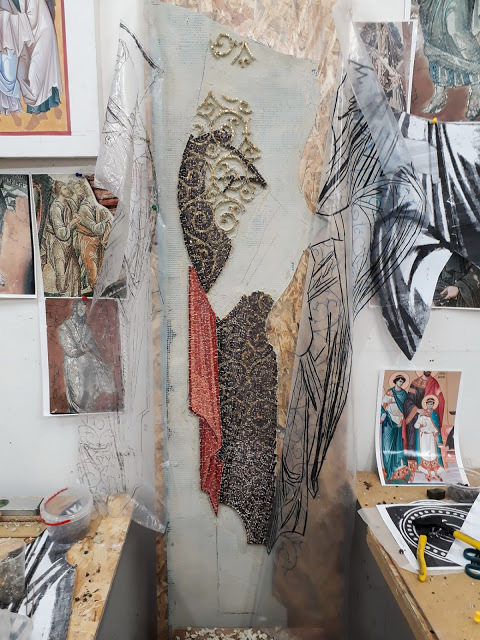 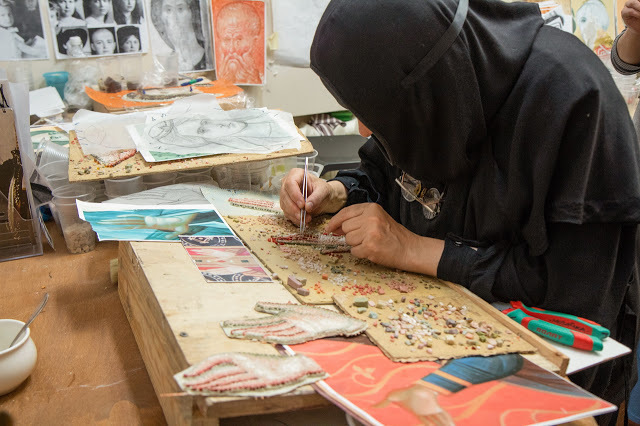 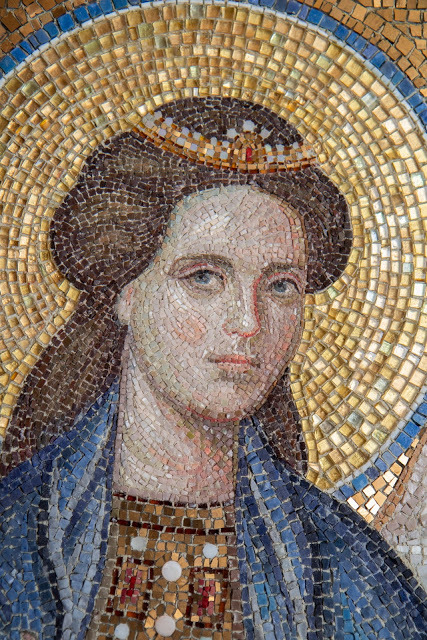 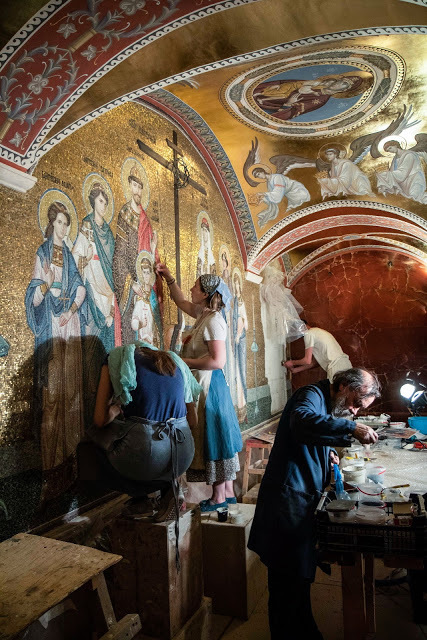 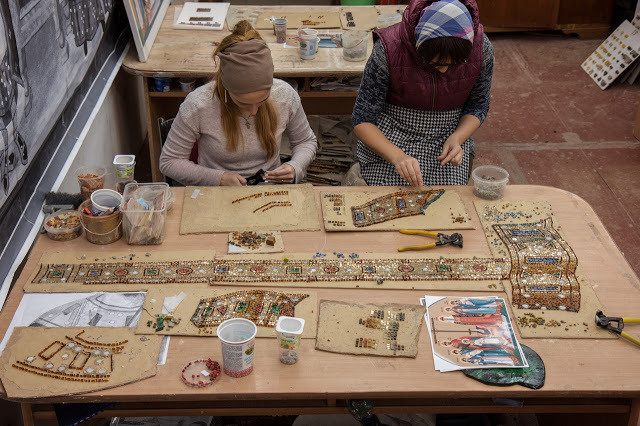 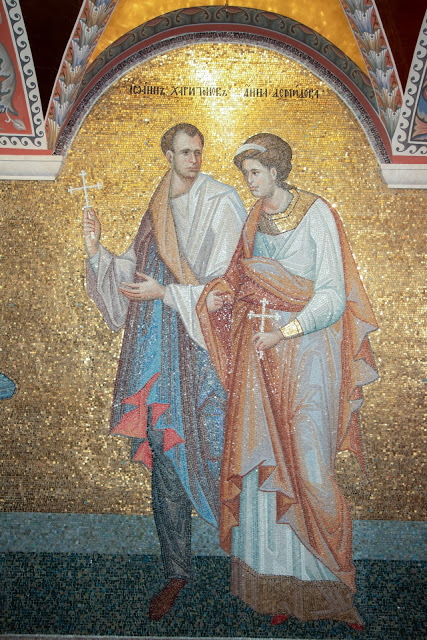 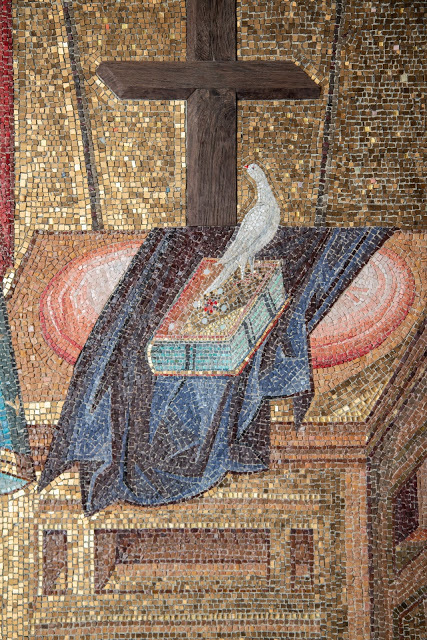 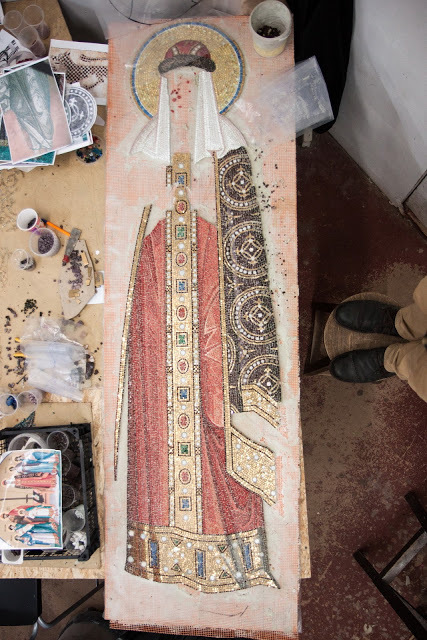 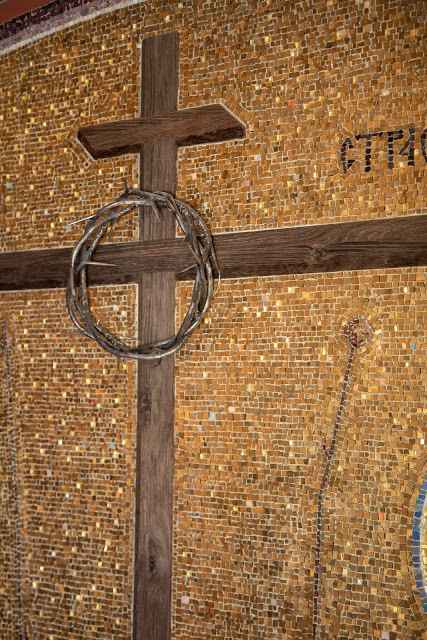 On the very wall, to which the family of the emperor was brought on July 17, 1918, today there is a mosaic created by the craftspeople of the mosaic workshop of St. Elisabeth Convent. 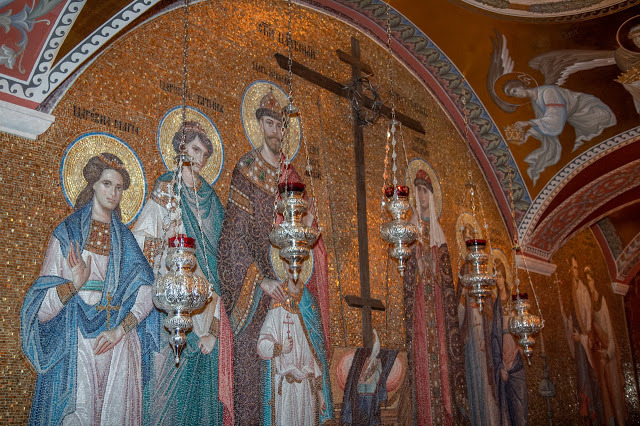 It depicts 11 innocents who were murdered that night: they are shown in the same places, at which they stood at the moment of their death. 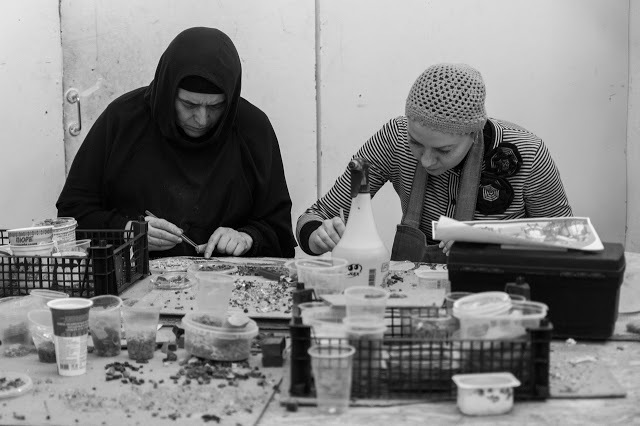 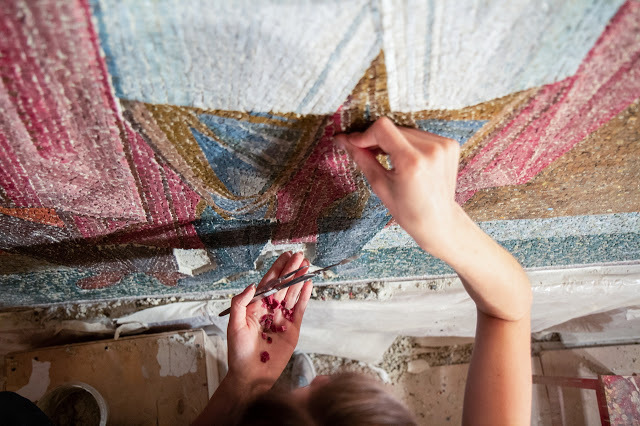 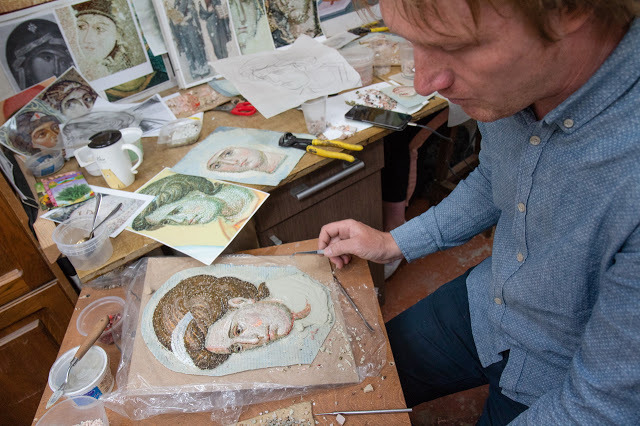 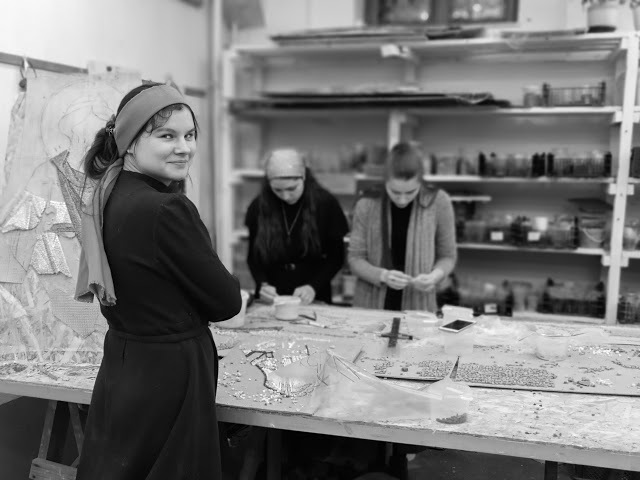 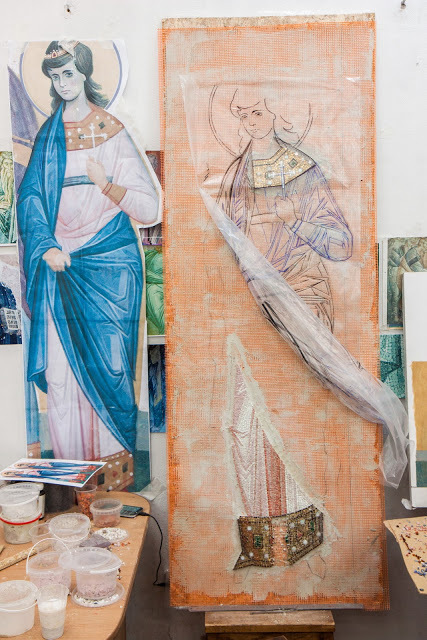 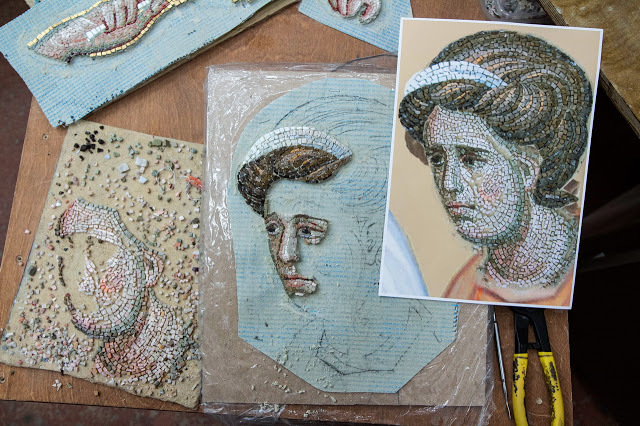 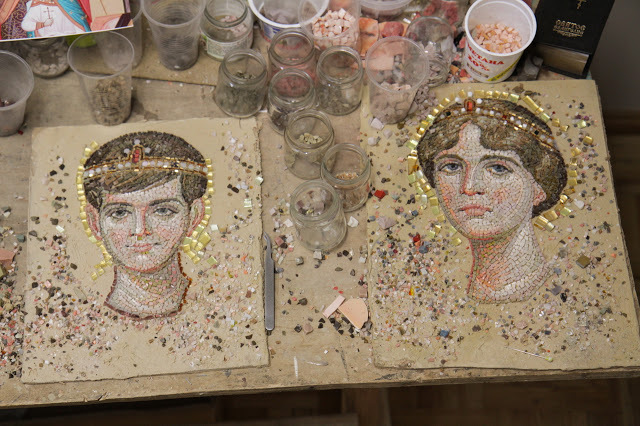 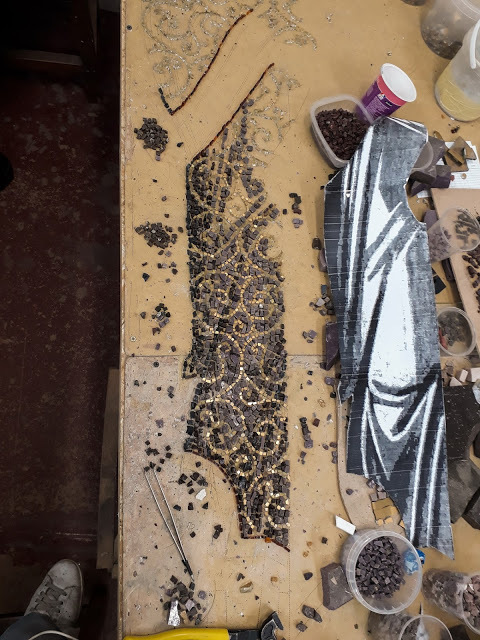 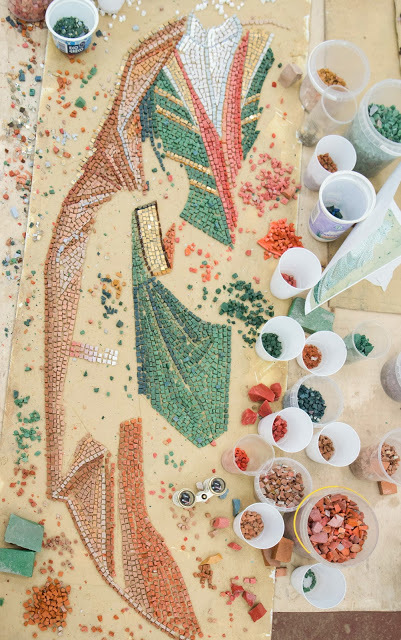 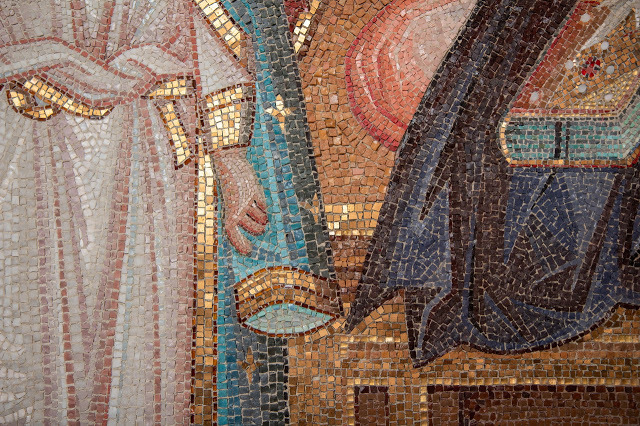 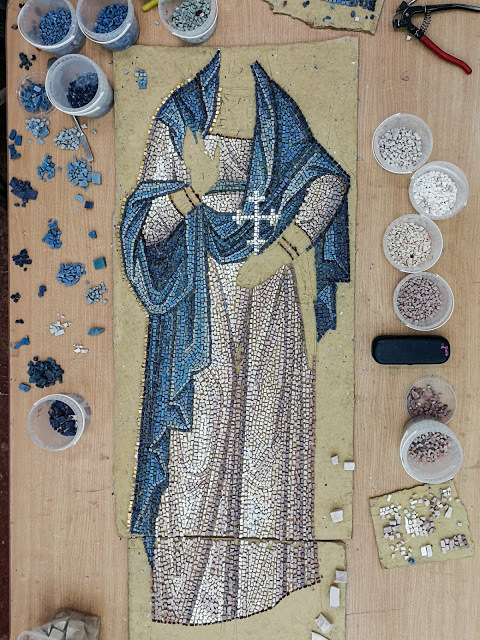 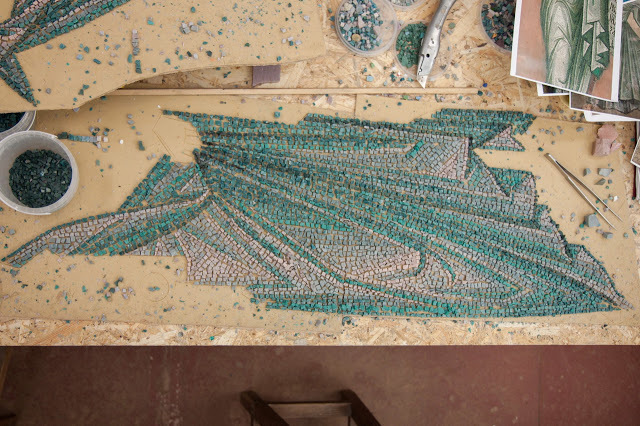 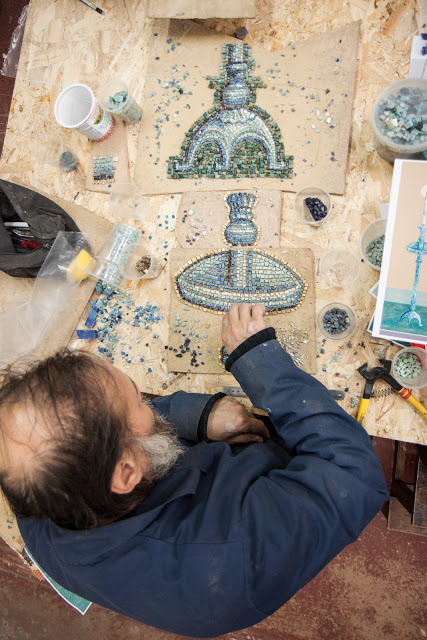 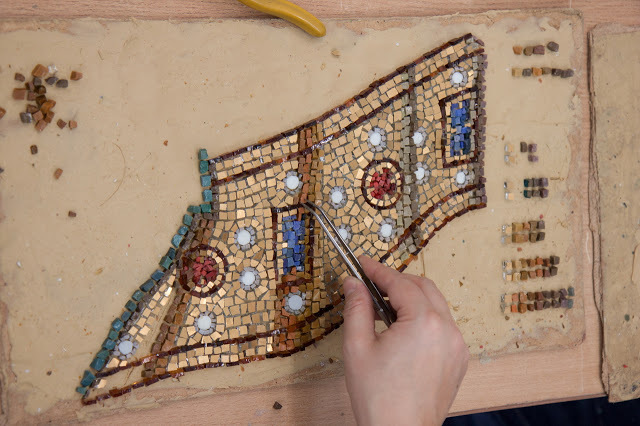 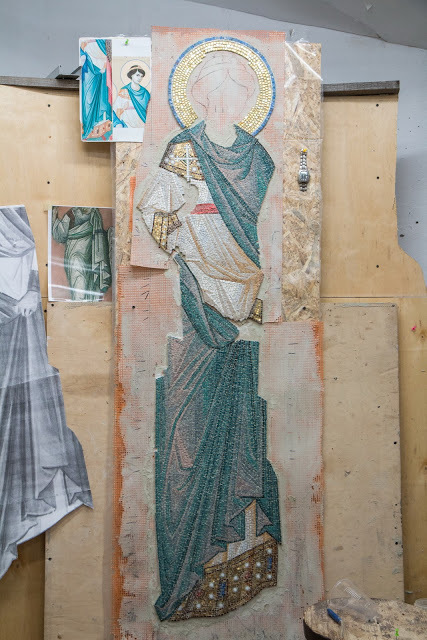 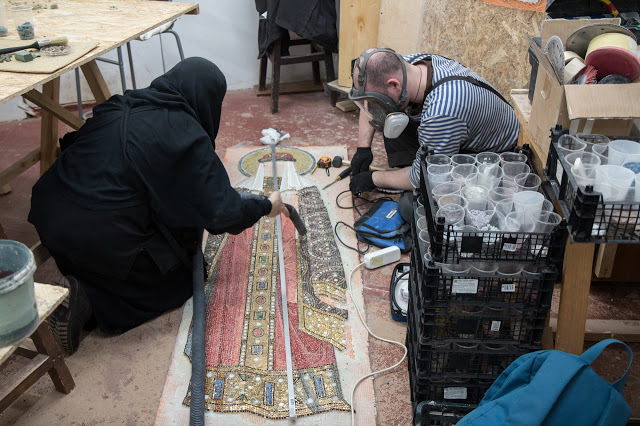 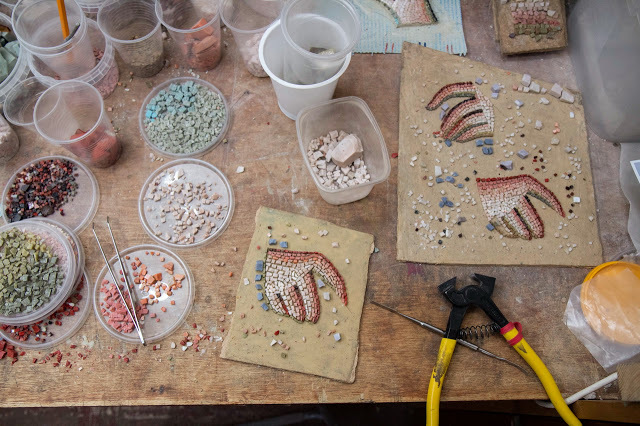 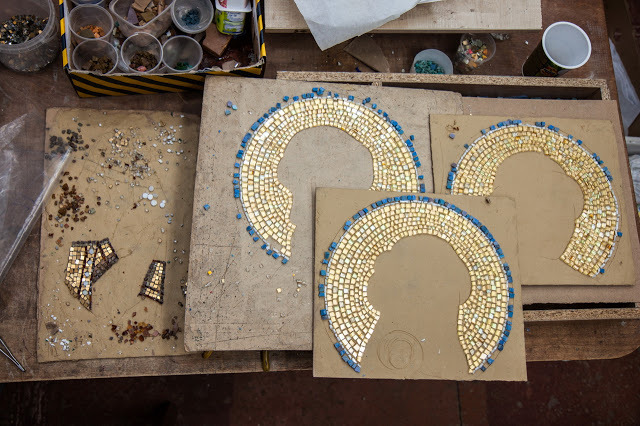 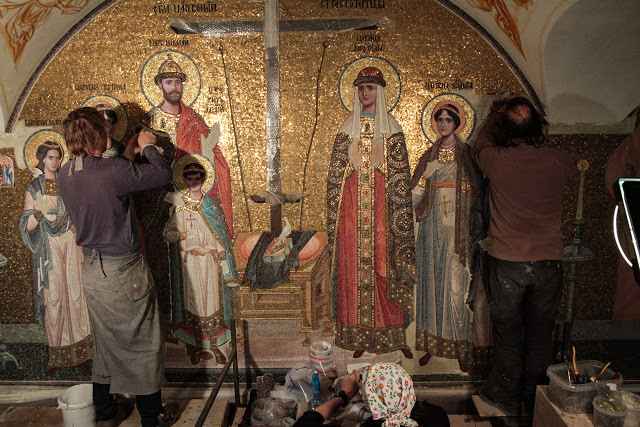 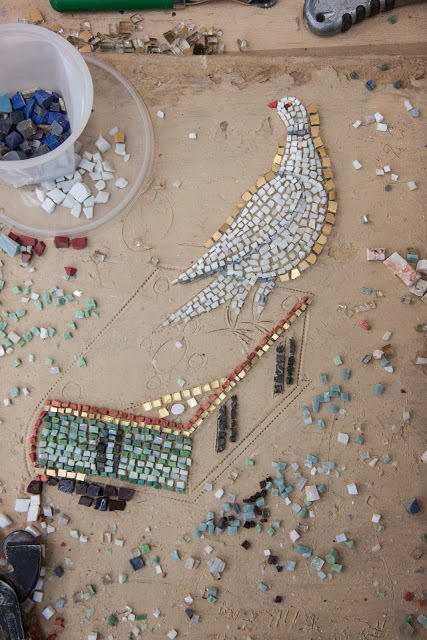 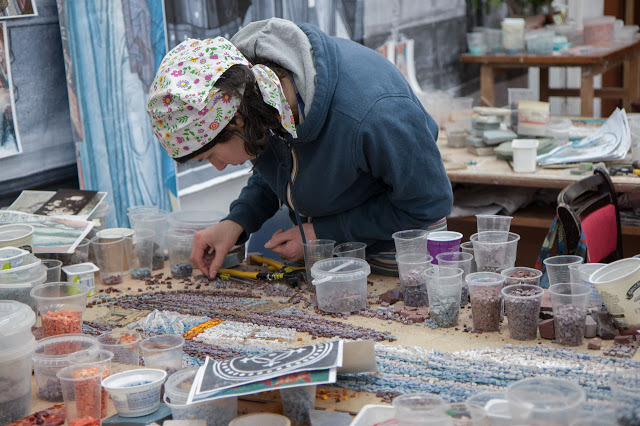 Their images were maid from the pieces of a mosaic, but the working process itself was like a mosaic, too. 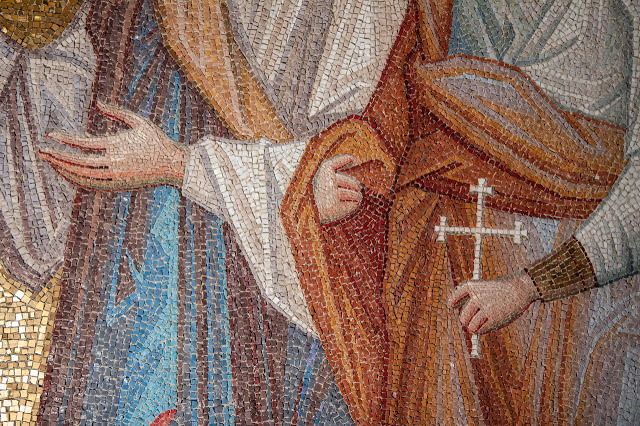 Dozens of people worked together, worried together and asked the saints for help.